Crossrail awards major construction contracts for Farringdon and Whitechapel stations - Crossrail . For information about the Elizabeth line please visit the Transport for London website. Crossrail today announced that it has awarded the main construction contracts for Farringdon and Whitechapel stations. Intensive construction for both stations will get underway next year. Andy Mitchell, Crossrail Programme Director: “Crossrail contracts continue to generate significant construction industry interest. As with the Paddington station contract earlier this year, high quality bids were received for both Farringdon and Whitechapel stations. The main construction contracts for Bond Street, Tottenham Court Road and Liverpool Street stations will be awarded in 2012. When Crossrail opens, Farringdon will become one of Britain’s busiest train stations served by Thameslink, Crossrail and London Underground. Crossrail passengers will be able to reach Tottenham Court Road from Farringdon in 3 minutes, Paddington in 7 minutes and Heathrow in 31 minutes. 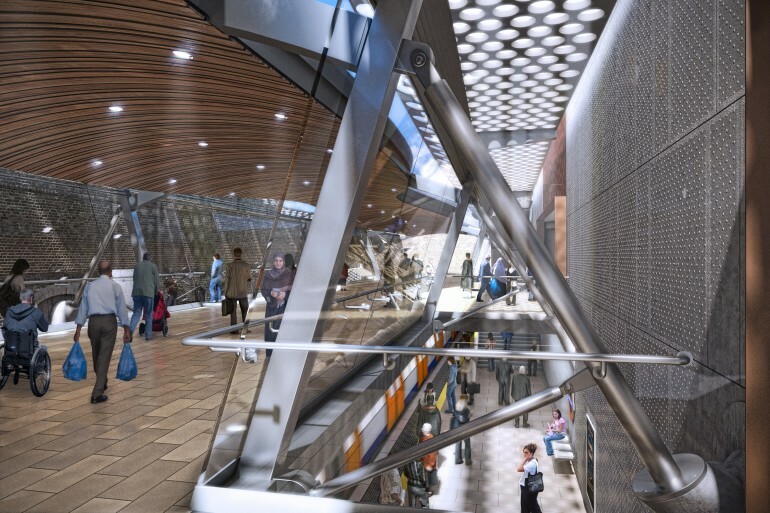 Farringdon station will also provide a direct connection to Heathrow, Gatwick and Luton airports. At Whitechapel, the new Crossrail station will be located to the north of the existing station with a new ticket-hall providing step-free access to Crossrail, London Underground and London Overground. A new pedestrian route from Durward Street on to Whitechapel Road for local residents will also be created as part of the Crossrail works. Up to 24 Crossrail trains per hour will operate between Paddington and Whitechapel during the peak. In line with European procurement rules both contract awards were subject to a standstill period which has now concluded. On 18 February 2011, Crossrail confirmed the shortlist for C435 Farringdon station. The following organisations were invited to tender. Laing O'Rourke & Strabag JV. The Invitation to Tender (ITT) for C502 Liverpool Street was issued in September 2011 while the ITTs for C422 Tottenham Court Road and C412 Bond Street will be issued shortly.